I’ve started my first fund-raising page in support of the mental Health Charity Mind. 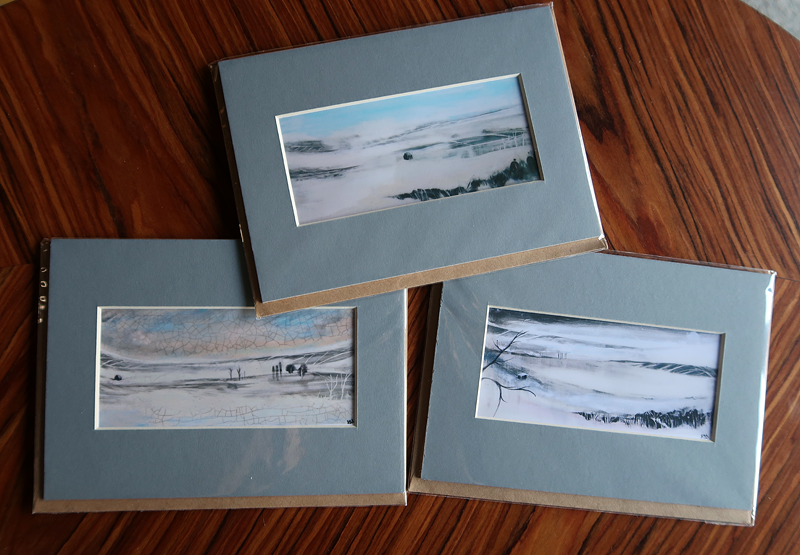 For it, I’ve donated a 100 of my colourful post cards and 100% of the funds raised will go to the charitable cause. So far, it has reached 30% of the target and I really hope for this to increase by Christmas. The cost of a post card is £3 and they can be purchased from the Just Giving website or directly from me. Once purchased online, if you would like one sent to you, please add additional £2 to allow for UK mainland postage and e-mail your postal address to silvena.toncheva@gmail.com. I would like to use the opportunity to thank all who have supported me so far, it really means so much! 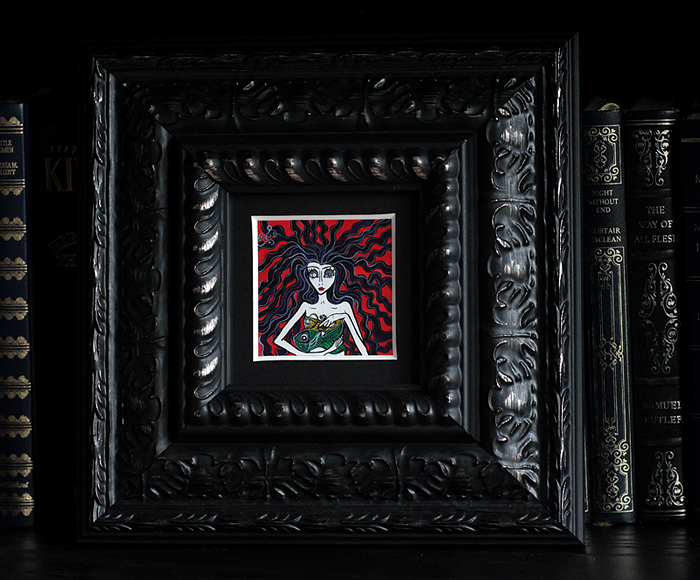 Last week I had the chance to create another little mermaid, the name of the painting is ‘Omen’. 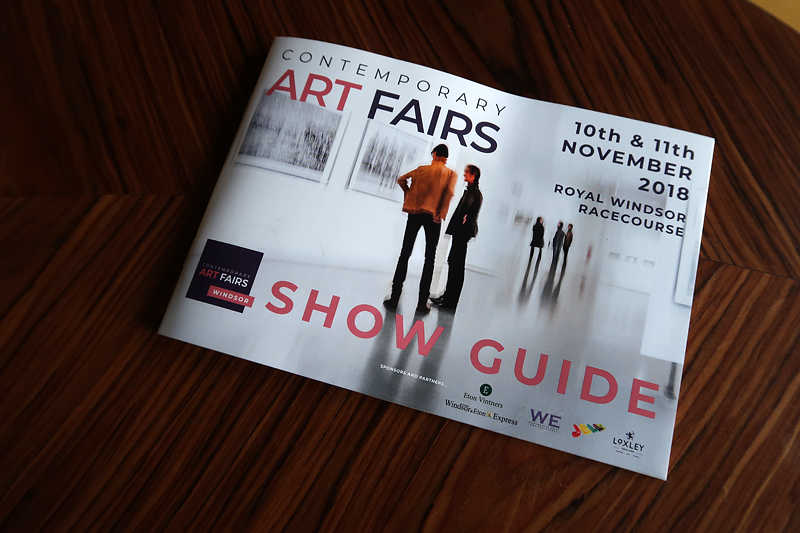 Yesterday I enjoyed a visit to The Contemporary Art Fair Windsor. It was an inspirational journey through a variety of styles and I was pleased to discover a few new favourites to follow. One of the artworks that caught my eye was ‘The Only One in The Universe‘ by Ginny Skinner. I particularly liked the work of Sarah Dalton who shared she lives far away in Scotland at a place that very much looks like the landscapes on her artworks.